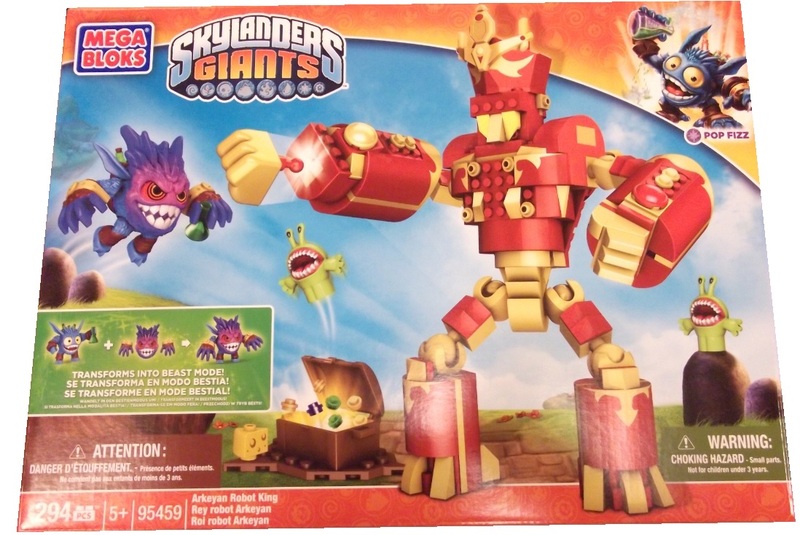 Product Detail Summary: Build a blasting battle with the Arkeyan Robot King by Mega Bloks Skylanders Giants ™! Pop Fizz will have to gulp down all the soda he can and transform into Beast Form when he confronts the Arkeyan Robot King with working Iron Fist launchers! With two blue Chompies guarding the treasure chest, Pop Fizz will have his work cut out for him as he tries to collect the Robot King’s loot! Combines with the rest of the Mega Bloks Skylanders Giants ™ to build your battle!